Powerful features to deliver better notifications. Visitors will subscribe to notifications from your site through a web push request. The visibility of push notifications is around 90%. Use our analytics for your subscriber list. Users at your site can receive personalized notifications. The messages you send out can be segmented based on the user’s location or other details. 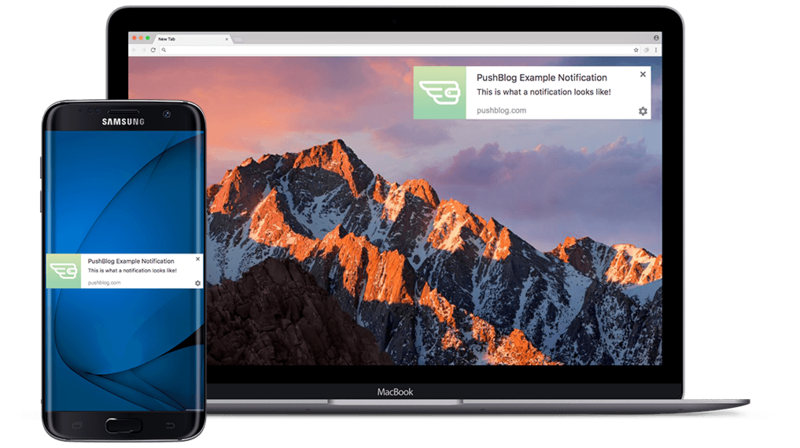 Use our PushBlog API and send web push notifications, emails, and SMS through a single platform. Ready to start using PushBlog?